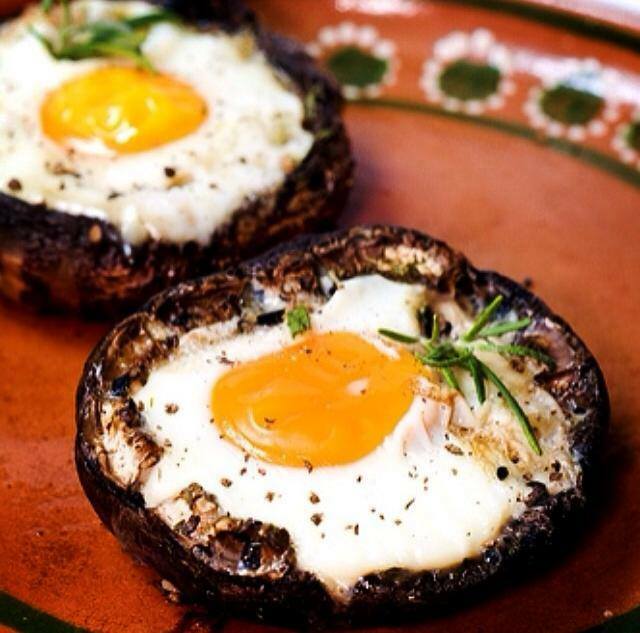 Stuffed Portobello breakfast Mushrooms! A high protein low carb breakfast or snack that’s packed full of B vitamins and a winner! Drizzle oil over the underside of the mushroom. Carefully crack an egg into the underside of each mushroom.